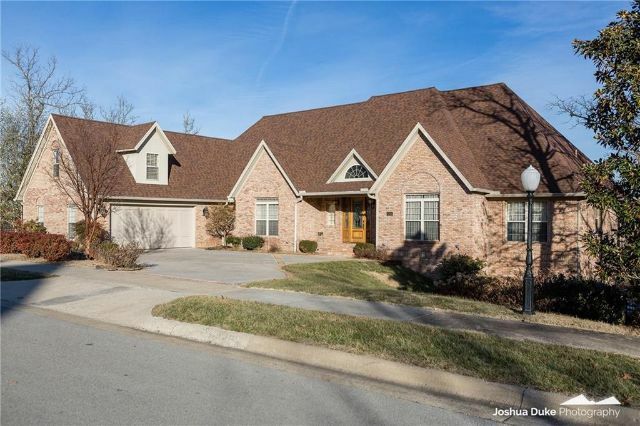 If you are looking to buy a home in Fayetteville, Arkansas with ample space, this Taylor Team Homes featured listing is for you. Located at 1250 Montview Drive in Sumersby, this 4-bedroom, 4.5 bath home has everything your family needs. Imagine coming home to this stunning 6650 sq. ft. two-level home set on a beautiful 1.17-acre lot. The property is beautifully landscaped and has a spectacular view. It’s the perfect home for raising a family and entertaining. Provide guests with a home away from home in the 1400 sq. ft. private guest house. Family and friends will enjoy having a private area when they visit. The guest house features 1 bedroom and 2 baths. It comes equipped with a full kitchen, spacious living area, and a steam room. It also has a separate address for any long-term living arrangements. Also, the guest house has a dedicated parking area so they can come and go without worry. Do you enjoy cooking and entertaining? Then you’ll fall in love with the kitchen. This featured listing has a beautiful gourmet kitchen with professional appliances, granite countertops, and ice maker connections. It also has a separate pantry, which provides more storage room in the kitchen cabinets. Host family events or dinner parties in the large dining room, relax by the pool, or sit out on the covered patio and deck and enjoy the view. When the day is done, retreat to your Master bedroom suite on the main floor for privacy and relaxation. Read below for more reasons to call this house your home. This Taylor Team featured listing is the home you have been looking for. In this home, you will have all the space and luxury you need. Call us for a private showing at (479) 668-4545. To see more details about this home, visit our website.